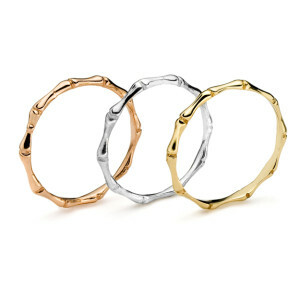 Ever resilient bamboo is the inspiration behind these adorable stackable rings in 14k rose, white and yellow gold. Mix and match for contrast or wear individually. The trio can be purchased for $400.